This week, my daughter turned 6! Can you believe it!?! 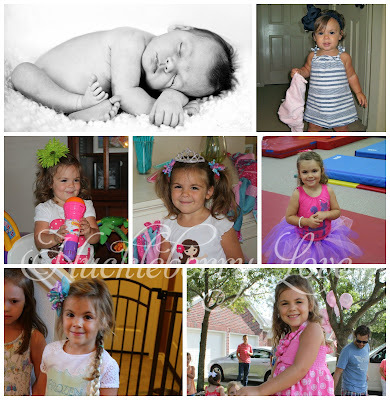 I made her a little photo collage from each of her birthdays, and I had to pull out the tissues by the end. I must say, she's grown to be quite the little lady! We spent her birthday with her neighbor friend. We made gak, bookmarks, and then she got to have a sleepover with another special friend. Her aunt even took her for a pedicure! Happy Monday! I love collages like this where you can compare pics over the years. We didn't do the monthly photos with my son but we are desperately trying to do it with my daughter, though we are already behind on month two (she was born on the 28th)! Oh my gosh the all the hearts quilt looks adorable! Wish I knew how to sew!! My first time here linking up! Thanks so much for hosting the party:-) So many inspiring linkups! 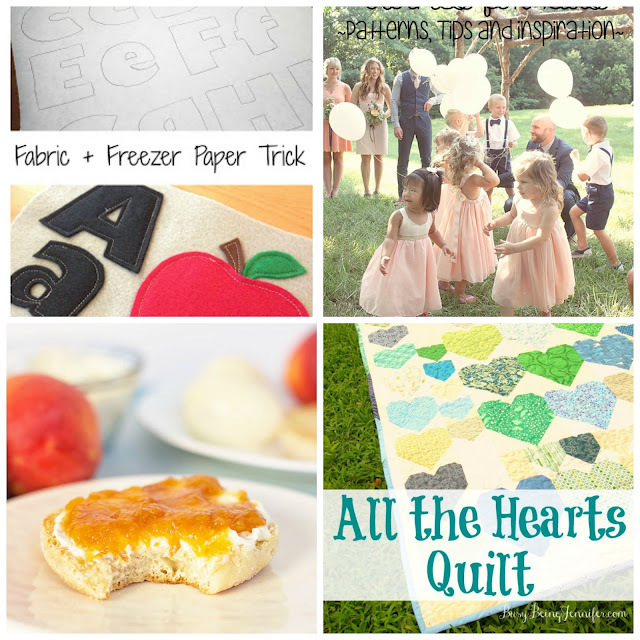 Thank for the great party and for featuring my Freezer Paper Trick!